Website galleries are quite interesting. 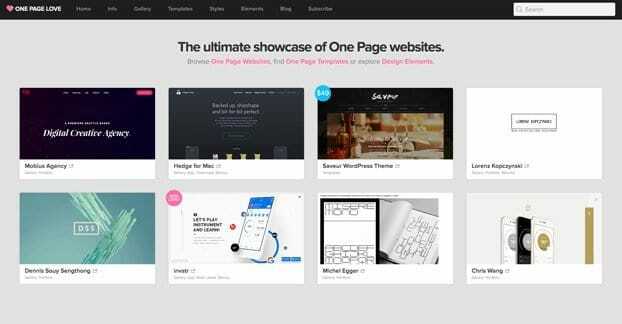 Ostensibly, they’re designed to show off the best the web has to offer, in terms of slick, innovative design, clever code, or just top of the line websites. However, there’s a lot more to them. People can browse web design galleries for ideas for their own sites. They can crib elements of your design, though they obviously can’t steal anything proprietary without possible repercussions. People can browse the galleries and find new sites they want to visit. Some people are very much into aesthetic online, and prefer to spend their time on sites that simply look and feel good, rather than sites that maybe provide better information in a worse way. I’m looking at you here, Reddit. Most importantly, people browse galleries to find sites that have won awards. It’s an accolade, a badge of minimal honor you can put on your digital resume. It’s like a testimonial, a cover blurb, a badge. Sites can submit themselves to galleries to get this value and more. They get some verification that they did something well, acknowledgement from their peers. Interestingly, many of these galleries have followed links as well. They build up their reputation as authorities in judging sites, and they link to the best sites out there. Now, these links aren’t going to be super valuable on their own, because they’re not highly relevant to almost any other site. A gallery isn’t relevant to a marketing business, a shoe shop, or a mechanic. However, they’re legitimate links from legitimate sites, and they carry some positive value. On top of all of that, web designers can submit themselves to galleries so they can add those accolades to their own portfolios. They can then use that as leverage to get them future web design contracts. There are two types of galleries I’m going to list below, but they’re both very similar. One of them focuses on elegance and style in CSS; the CSS Gallery. The other focuses on your web design as a whole, and how creative your site happens to be. These are the Web Design Galleries. Additionally, I have a section for sites that submit your site to numerous galleries all at once. Don’t forget to check those out. Because both web design and CSS galleries are so similar, I’m just using one category. Most of them are labeled CSS galleries, but so long as your site uses CSS, both web design and CSS galleries will work for you. CSSWinner – This site allows you to create a designer profile, which many other will as well, though it does allow you to submit actual images rather than taking an automated screenshot of your site for you. Submission gets you consideration for their list, but it’s not guaranteed. It costs $9, but rejection will refund your application fee. You can also be selected as a starred site, a site of the day, or a site of the month. Agencies and designers can also submit numerous designs under the same profile, for more aggregated value. CSSBased – This site is a broad submission site with three different forms of submission. The professional submission is reviewed within 24 hours and will be tweeted from their account (with a mediocre 3,300 followers.) It costs $20. The standard submission is $6 but will take a bit longer and does not get a backlink from their site, or the money back guarantee on rejection. Finally, the free submission requires you to tweet them. Awwwards – This is a high profile web design gallery that showcases the most unique and innovative websites year after year. They also produce a book of the “365 best websites around the world” every year. Listing on their site is pretty potent, not just for SEO but for personal recognition. Their $50 submission adds you to their list if you pass their rigorous standards, while their $165 annual listing adds you to a members only directory where clients go to recruit web designers. OnePageLove – This unique gallery is 100% dedicated to sites that have only a single page. If you have any sub-pages on your site, any internal links, or anything other than a root domain homepage, you don’t qualify. Very few people qualify for this gallery, but if you do, it can be worth it. Submission is $9, but if you’re selling your design as a template you can submit it to their sales list for $35. Siiimple – A gallery active since 2008, this one is essentially run by one person and thrives on donations and paid advertising. The sites they accept are simple and minimalist in design. If you have a complex design with a lot of moving parts, you don’t meet their elegance requirements, and thus won’t be accepted. Submission is, however, free. PatternTap – This gallery isn’t made for showcasing entire websites. 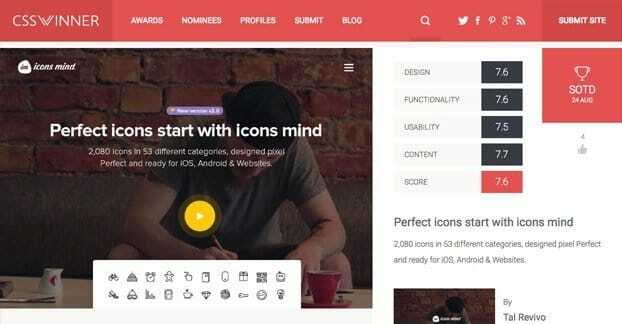 Rather, it has you screenshot a portion of your site, an element or part of the UI. It’s designed more for inspiration for other designers than it is for full site gallery sharing. You have to register to submit but it’s free to do so. WeLoveWP – A focused gallery that only accepts submissions of sites based entirely on WordPress as their core CMS. They have four tiers of submission. Free gets you added to their gallery, but does not allow commercial themes. Instant is $19 and gets a review from their design team. Theme is $29 and allows you to submit commercial for-sale themes as advertising. Premium is $69 and gets priority review, and submission to galleries via TheCSSGalleryList. See the next section for more on them. CartFrenzy – This gallery is aimed for commercial sites only, specifically those that sell items and have shopping carts involved. They have three submission methods. One of them is via Gallery Rush, another one of the submission sites listed below, which they also own. One is a free submission. The last is an express review that goes over your site within 24 hours and costs $3, making it one of the cheapest non-free galleries on the list. TypeInspire – This is another Gallery Rush gallery, this one focused entirely on sites that focus on typography. If you do anything fun with the design and layout of text on your site, even experimental designs, you can find a home here. There are a couple more sites in the Gallery Rush network. Minimal Exhibit is a minimalist design site much like Siiimple. 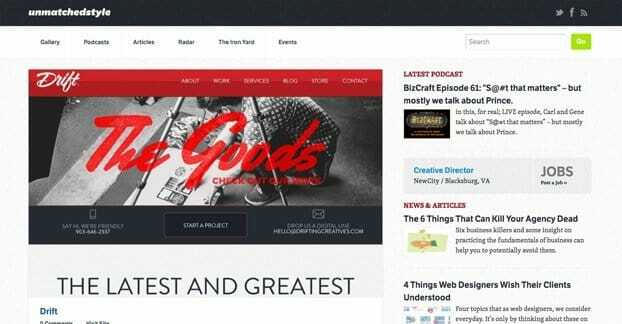 Blog Design Heroes focused on the design of specific blogs, excluding commercialized sites. Finally, Folio Focus focuses on portfolio site designs, usually those for photographers, though anyone with a design portfolio can qualify. Pixel Perfect Portfolios – Another portfolio gallery, this one focuses entirely on those made in an animation method. Originally this meant just Flash, but some recent submissions have focused more on HTML5, since it works in much the same way. SaaSCSS – This is a web design gallery specifically for sites that provide software as a service. All you blogs, eCommerce sites and traditional service providers had best move along, there’s nothing for you here. Submission is free if you fit the bill. 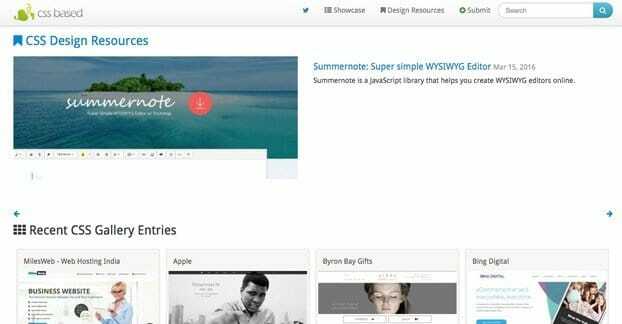 BuiltWithBootstrap – Another niche submission gallery, this one is focused on sites built using Bootstrap, one of the more popular open source, responsive frameworks for mobile and responsive design. Submission is $5, and in a unique twist, they take payment via Fiverr. Featured submissions get you primary ad space, but cost you $29. UnmatchedStyle – A gallery with a few sections. One of them is a pure gallery for stylish websites. One is for podcasts and their associated websites, which is an interesting niche you might not have thought about. One is a curated blog, not really a gallery site, and the last is actually a coding school and not a gallery. StyleTheWeb – This gallery is as generic as they come. They don’t have any restrictions, but they do allow community ratings. They categorize their submissions into various groups, like technology, magazines, music, experimental, futuristic, ecommerce, and education. 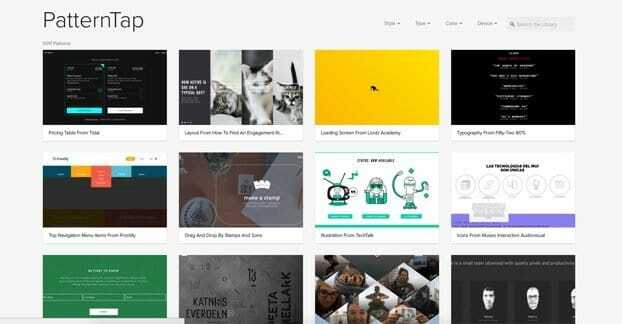 Web Creme – This gallery focuses on very stylish, almost retro-chic or homestyle website designs. If you could picture a version of Etsy where the handmade goods on sale were website designs, that’s what you’re getting with this gallery. 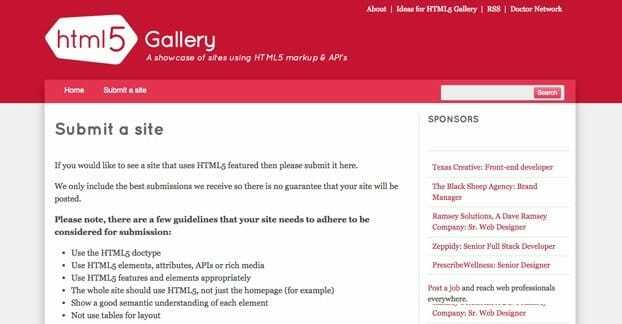 HTML5 Gallery – This appropriately named gallery requires you to have a site based heavily in HTML5. This means you need to use the HTML5 Doctype, you need to use the elements, attributes, APIs, and rich media of that type, you need to use them across the whole site, and you need to demonstrate appropriate use, not quick conversion. No tables, no WordPress default themes, and no temporary sites are allowed. They also have a significant backlog, so expect about a three month wait. PageCrush – This site has a sizable gallery and a two week wait for review for the free submission, which gives you the watchlist, a personal portfolio listing, and a tweet. It’s only for students and freelancers, though, not for agencies. Agencies have to use the $25 fee option, though you do also need to wait about a week. For priority one day review, the $35 fee is open to everyone and has additional features. Colorgorize – This gallery is focused on unique and innovative use of color to create a pleasant experience. They even have a filter so browsers of the site can change the hue and saturation of websites they want to experience. TheCSSGalleryList – This site has a list of a hundred or so different CSS galleries, many of which are listed up there in the CSS gallery section. They show the PageRank of the galleries, though PageRank itself is outdated. The payment to submit is $49, payable by PayPal. 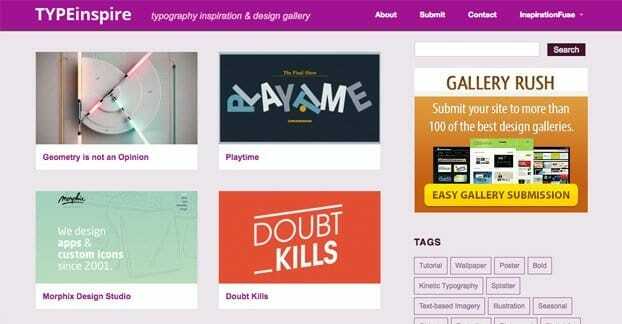 CSSGallerySubmission24x7 – This submission site does more than just CSS galleries. They have a package of 100 CSS galleries, packages of 125, 250, and 500 social bookmarking links, the same number of site directories, submission to 80+ search engines, and submission to DMOZ. The CSS gallery submission is $25. One thing to note here is that you should never pay for “search engine submission” no matter what the claims of the site are. There are only two search engines that matter, and those are Google and Bing. Both of them have very robust indexing mechanics and will find you long before you feel the need to submit to them. Paying for submission to any search engine, let alone a volume of them, is unnecessary and a waste of money. GalleryRush – This submission site has a strict no spam rule, and every site on their submission list has opted in to submissions from them. That’s why they have a somewhat smaller list than some other submission sites. However, they do have a larger list of galleries you can manually target should you desire, again many of which are listed above. Their submission fee is $25. MeeCSS – This submission service has two options; a free version where you fill out basic data and submit your site to a list of chosen galleries, and a paid version where they submit your site for you, presumably using their experience to optimize your submission. The service version is $18. Interestingly, they encourage your $18 payment by forcing you to fill out information for each gallery submission manually, giving you a “step X of 159” set of fields. TheSubmit.net – This submission service has a list of 200+ galleries for you to submit to, but with a twist; they also list recent submissions on their own site, so you get that one extra bit of advertising. Their package is $30. CSS Mayo – One of the most popular galleries, it nevertheless only has 4,700 or so submissions. Additionally, they allow you to create a cookie-based lightbox of sites you select as favorites, so you can come back and reference them later if you desire. They also have a freebies section with templates, themes, wallpapers, and CSS snippets for you to use if you wish.